When you’re sitting through a long North Shore winter, it’s easy to find yourself daydreaming about endless summer days spent enjoying time in your favorite outdoor spaces. Once the warmer months arrive, though, you remember that the pleasant temperatures can bring their own hassles. One of the biggest has to do with insects. Is it any wonder we get so many calls about organic mosquito and tick control this time of year? Dealing with pests is a matter of both comfort and health, of course. For example, when homeowners contact us for mosquito control, they are often just as worried about viruses, allergic reactions, and even the well-being of their pets as they are itchy red bumps. But even if they couldn’t make you sick, uninvited guests onto your property can make it hard for you to make the most of lawns, trees, and other features on warm summer nights. So, even if you aren’t thinking about Saugus mosquito control right now, you probably will be soon. Luckily, we can help you solve the problem with just one phone call. Here are three ways the right landscaper can help you keep those annoying creatures away from your property. The first step towards any plan that deals with mosquito control in Massachusetts is to design or review an overall landscaping plan. Often, mosquitoes gather on your property because of the way it has been set up. Specifically, having lots of areas with undisturbed shade and standing water can not only attract insects, but encourage them to multiply. It’s amazing the way trimming a few branches, filling in a couple of holes, or making other relatively minor changes to a property can affect mosquitoes and ticks. If you’re tired of being bitten every time you go outside, it might be time to rearrange your yard slightly. As we’ve already mentioned, mosquitoes love standing water. Water comes from puddles and insufficient drainage. It can also come from swimming pools that aren’t cleaned well. Additionally, irrigation systems that have brakes or allow fluid to sit in certain areas can also be problematic. A good landscaping team will evaluate all the water on your property to help with Saugus Mosquito control. They’ll look through the various elements and fixtures. They will ensure none of your man-made additions are exasperating the problem and bringing health risks to you and your family. In the last few years, homeowners throughout Massachusetts have begun paying more attention to organic mosquito and tick control. That’s because non-toxic solutions (like cedar tree oil) are inexpensive and effective. Don’t carry the same risks to your loved ones – particularly children and pets – that stronger poisons would. If you were to eliminate all the standing water around your property, you might still have problems with mosquitoes and ticks. This is because of surrounding trees, bushes, or creeks. Or, pests could make their way from neighboring lots. That’s why organic mosquito and tick control can be crucial as another line of defense against disease-carrying insects. 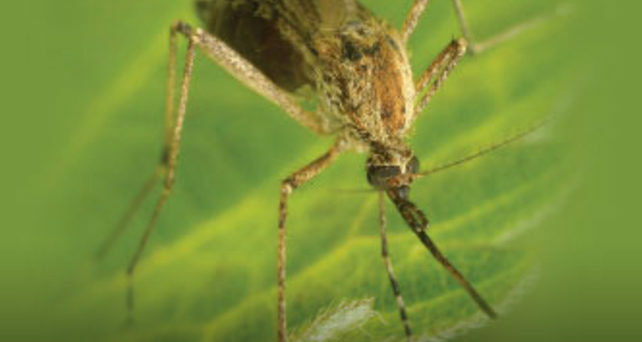 Mosquito control in Massachusetts isn’t just about turning off your sprinklers or spraying poison around your yard once a year. If you want to have an outdoor kitchen you can enjoy safely, and comfortably, call the organic mosquito and tick control experts at Stefano’s Landscaping. Dial 978-352-8834 and a member of our friendly team will be happy to answer all your questions.